A good choice for concussion reduction. Three layers of foam. The first layer to touch your horse is a merino wool felt. The second layer is a slow-release open cell memory foam. The third layer is a shock absorbing, closed cell high density foam. The pad is lightweight, reversible and perforated for comfortable air circulation. 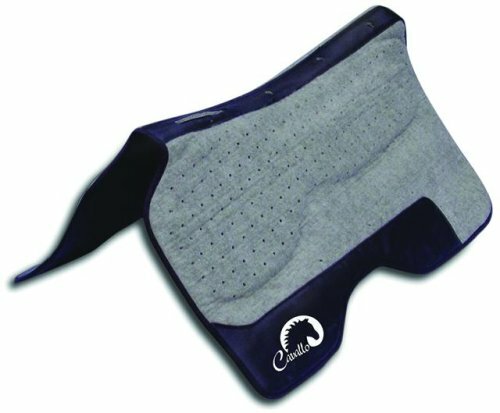 The topline is contoured, for wither relief.